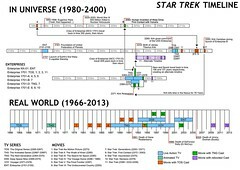 Star Trek Timeline, a photo by Wyrmworld on Flickr. I blogged back in May 2009 that I had finished watching Enterprise and that I would move on to Deep Space 9. I finally finished watching DS9 last night, and I must say I really enjoyed it, although it took me a wee while to get into. I’m now going to proceed to Star Trek Voyager, which will presumable last until Christmas 2013. I must congratulate myself on my powers of prediction, given that I watched the last episode of Voyager last night (without having checked my old blog post first). The last few episodes were really good (probably the ones made after they had been told the show was getting the axe), but in general I think there were too many poor ones. My guess is it was caused by travelling quickly through the universe, which makes it hard to develop complex plots. I’m quite sad, however, that I’ve now watched everything in the Star Trek saga, apart from the animated series. Hopefully they’ll make a new TV series soon. 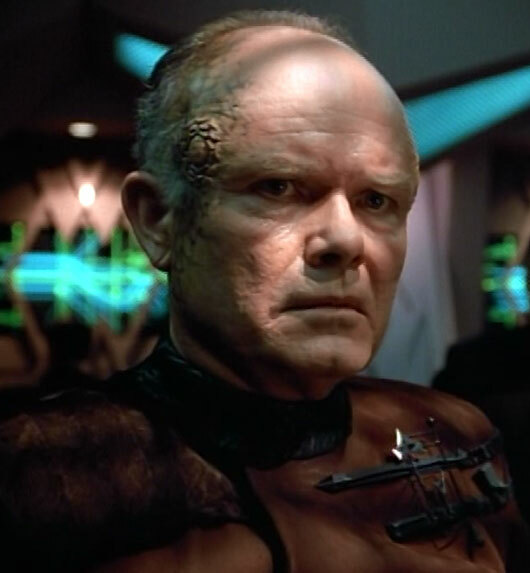 Last night I watched the second half of the Star Trek Voyager episode called the Year of Hell. In general I must say that the fourth season of Voyager is much better than the third one — I was about to dismiss Voyager as the worst of all the Star Trek series, but the replacement of Kes by Seven of Nine seems to have changed the dynamics and made it much more enjoyable. This particular double episode was extraordinarily good. In short, it’s about how a Krenim scientist called Annorax constructs a weapon that can erase a whole species from history. Basically, he would be able to fire his weapon at Earth, and suddenly humans would never have developed past the Erectus stage. This episode made he think of a potential planet-scale equivalent: the time gun. Imagine if you could pull the trigger on this weapon, and Hitler would never have been born. Or Stalin. Or Mao Zhedong. Or Genghis Khan. However, once you’d fired it, there would be no way to undo the change. Would you be brave enough ever to fire it? If for instance you killed Hitler, wouldn’t there be a risk the Nazi party would have been led instead by somebody who would have killed just as many Jews, gypsies and other non-Arians, but who would have postponed the invasion of Poland for a decade in order to keep the UK out of the war until it was to late? That potentially killing Hitler could have led to a fascist Europe because nobody would have been appalled enough to oppose the fascists? Of course it’s also completely possible that killing Hitler would have had absolutely wonderful consequences, but would you be brave enough to press the button if you couldn’t undo it? Would you potentially end up erasing every single member of the Nazi party from history? I think it’s likely you’d end up bitter and twisted like Annorax, trying to erase more and more people from history in the hope that one day you’d manage to restore the world you grew up in. It’s a fascinating thought, and I highly recommend watching the Year of Hell. The SNP did really well in Thursday’s local elections, gaining 61 extra councillors (compared to 46 extra for Labour), with these gains mainly coming from the Tories and the Liberal Democrats. East Renfrewshire is actually quite typical in this regard: Labour 8 (+1), SNP 4 (+1), Tories 6 (-1), LibDems 0 (-1), Independents 2 (n/c). However, if you’ve been watching the BBC, you’d think the SNP actually had a bad election. To achieve this negative image, they’ve had to doctor the figures, so instead of comparing the number of seats with the last election — as is the norm for reporting elections — they’ve decided to to compare the number of seats with the status quo ante bellum, which helps Labour immensely because they were hit by numerous defections of councillors to the SNP over the past few years. According to the BBC, Labour therefore gained 58 seats compared to 57 seats to the SNP, and they then turn this into a story about Labour doing significantly better than the SNP. Of course they also conveniently focus more on these figures than on the absolute numbers, which are 424 SNP councillors compared to 394 Labour ones. 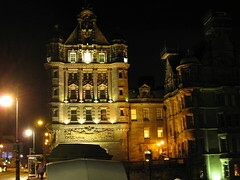 To reinforce their version of events, the BBC have been focusing strongly on Glasgow (where the SNP admittedly were too ambitious and thus didn’t gain quite as many seats as hoped, increasing their number of councillors “only” from 22 to 27), and been ignoring the parts of the country where the SNP had an excellent election, such as Dundee, which now has an absolute SNP majority. The BBC’s biased reporting is not just affecting the SNP, but also the other pro-independence party, the Scottish Greens. They increased their number of councillors from 8 to 14, but this has been more or less ignored by the BBC. This anti-independence bias has to stop now! The BBC are supposed to be impartial, and surely that should apply in Scotland as well as in England. As far as I can gather, we are currently seeing a divide opening between London-based media (the big newspapers and many of the BBC’s flagship programmes, such as the Andrew Marr Show) and Scottish-based media (including Scottish blogs). The London-based media are acting as if the independence referendum has already been won by the No side, and they’re almost blanking out the SNP. For instance, Andrew Marr seems to have completely ignored Scotland for the past few Sundays, and Fraser Nelson reported that the Unionists won easily at a debate in London. In the Scottish-based media, on the other hand, there’s definitely no feeling that the independence referendum has been decided yet, and I think it’s fair to say that the Yes side are doing better than their opponents at the moment. If this divide continues, the next two years are going to be very bizarre, with media in based in London and Scotland appearing to be based on different planets. 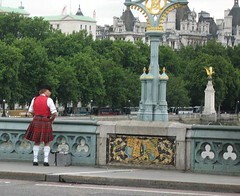 I wonder whether the divide will remain intact for the duration of the referendum campaign. If so, I think the London-based media are going to be very interesting to watch in the autumn of 2014, when they suddenly have to face up to the fact that the referendum electorate are all living in Scotland!